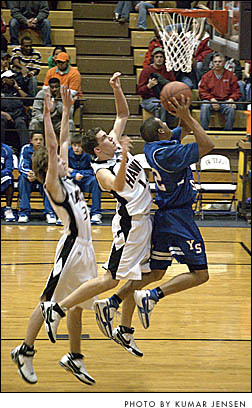 YSHS boys basketball team came tantalizingly close to an upset in the sectional finals on Friday, Feb. 22, but Tri-Village got the last word in the final minutes to win 50–48. Bulldog senior Kilan Brown, above, at the sectional semi-finals last week. The whole contest was neck and neck between the Bulldogs, seeded fifth, and Tri-Village, seeded second. 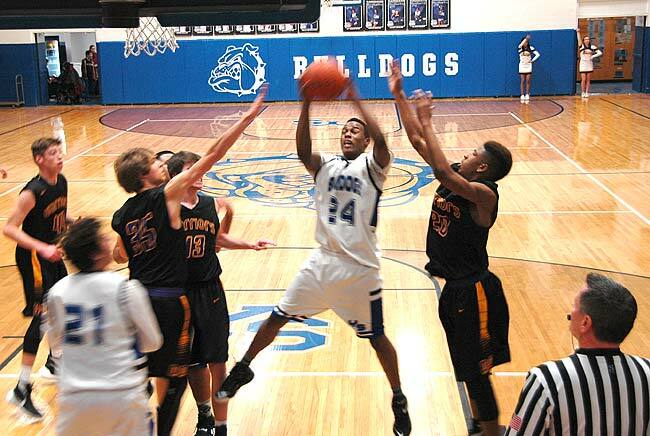 The Bulldogs’ Jeremiah Peacock scored 20, and Ryan Newsome scored 11, including the team’s three 3-pointers. Raphael Allen scored 8 for the ’Dogs. Seniors Kilan Brown, Peacock, Andrew Ferguson, Andy Peters, Eric Benton and Ron Cobb added to the team’s fight. The Bulldogs ended what Coach Brad Newsome called a “growthful” season with an overall record of 12–11. 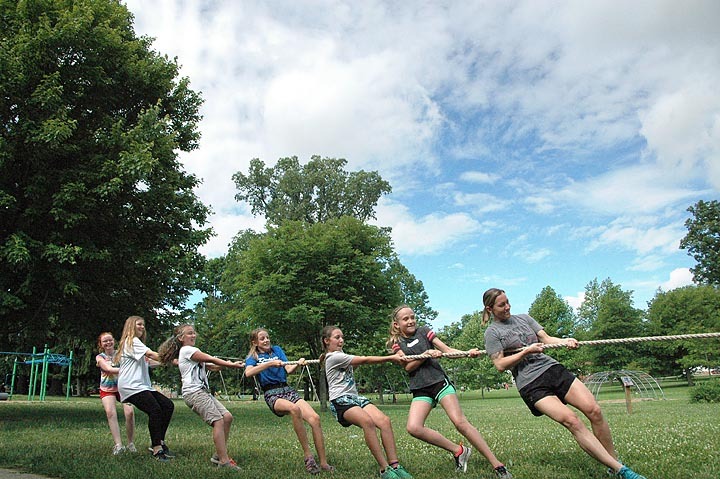 Both individually and as a team, the YSHS athletes developed character and a hard work ethic this year to overcome the adversity they faced at the beginning of the season as a young and relatively small team. Newsome said the Bulldogs also handled themselves with poise even in the face of officiating they didn’t agree with. “The team worked as hard as any team I’ve had — they worked hard enough to earn a championship trophy,” Newsome said on Monday.